bound together by those holiest passions among men. my confidant and my friend. to reach those goals that we set so high. to protect you I would die. held true to our solemn vows. and we weep together for you now. your Brothers that today you leave behind. ones that will not fade with time. as you are sitting next to Gods throne. until the last one comes home. 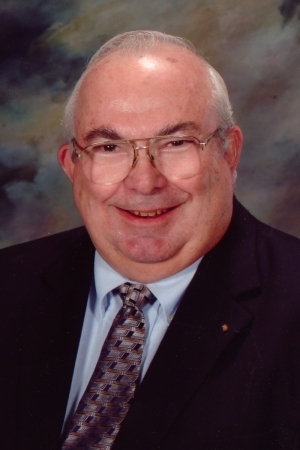 Dr. Robert L Oehrtman passed away in July, 2009. At the time, Dr Oehrtman was serving his 30th year as Chapter Adviser for Pi Chapter. Dr. "O" was a retired professor of Agriculture Economics at OSU. Dr Oehrtman came to the department in February of 1970. Since then he has received more awards of recognition from students, student organizations and youth organizations than any other teacher at Oklahoma State. Dr. Oehrtman began his service to Pi Chapter by becoming its Faculty Advisor in April of 1979. He was named three-time Advisor of the Year for the National Fraternity and is the only back-to-back winner of the award. Dr Oehrtman was recognized as a Brother of the Century and was inducted into the Alpha Gamma Rho Hall of Fame at the 2006 National Convention and inducted into the Pi Chapter Hall of Fame with the inagural class in 2009. Kyle was born on November 18, 1979 in Enid, Oklahoma and passed away on the afternoon of Sunday, June 9th 2002. Brother Aebi was initiate 1528 into Pi Chapter in August of 1998. He was a Agriculture Economics major and set to graduate in December, 2002. He was a member of the Golden Key Honor Society and enjoyed working outdoors, partaking in sports and living life to its fullest. Kyle was a true Brother, one that you could call when you needed help and one that would be there for you, no matter the situation. He leaves a large void in the lives of the Brothers that knew him. Brother Aebis funeral was held June 13th, at the First Lutheran Church of Pond Creek, were he was a member, with about 500 people, including over 100 Brothers, present. Kyle is survived by his parents, Harold and Linda, his twin brother Kevin, his grandmothers, aunts and uncles. He was preceded by his grandfathers. A plaque with Kyle's memory will remain in the Memorial Library on the first floor of the Pi Chapter house. Brother Tracey Cox passed away on September 16, 2002 Tracey was born on March 4, 1979. Tracey entered OSU in August of 1998 and was initiated into Alpha Gamma Rho the same year. While at OSU, Tracey was very involved in every aspect of the University. Tracey was co-Chairman of the 2002 Orange Peel. Also he was involved in SAB, Mortar Board, Omicron Delta Kappa, PLC, Ag Council, public speaking, enjoyed jogging and drawing. Tracey was set to graduate in December of 2002. 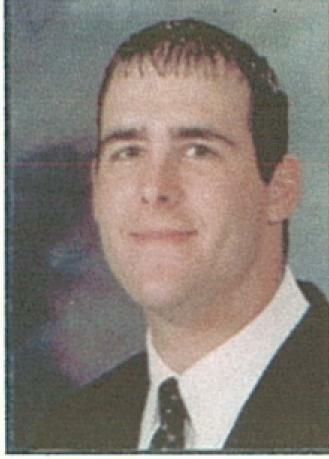 Tracey was a resident of Tuttle, Oklahoma and his parents are Tom and Andrea Wilson, both who still reside in Tuttle. 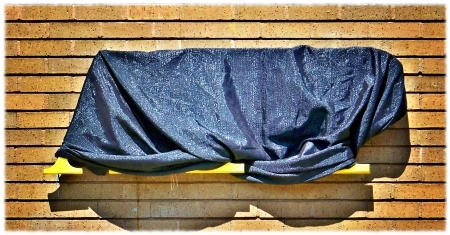 A plaque with Tracey's memory will remain in the Memorial Library on the first floor of the Pi Chapter house. Brother Trent Patton was born on July 29th, 1978, to Lyndell and Sherry Patton in Lawton, Ok. Trent passed away on September 7th, 2002, in Scottsdale AZ at the age of 24. Trent grew up in Faxon and attended High School in Chattanooga. Trent graduated in 1996 from Chattanooga High School and was initiated into Pi Chapter in August of 1996. He was active in many parts of fraternity life including musical productions. Trent had a hugely deep voice that could fill a room. Trent graduated OSU in 2001 with a BS in Chemical Engineering. He then moved to Mesa, AZ where he worked for the Boeing Company. Trent married Kathy Biziarek on August 3rd, 2002. Brother Patton was laid to rest on September 14 at the Chattanooga Cemetery. His funeral was attended by many Brothers and friends at the local high school auditorium. The Brothers of Pi Chapter lost a very near and dear friend on October 18th, 2002. 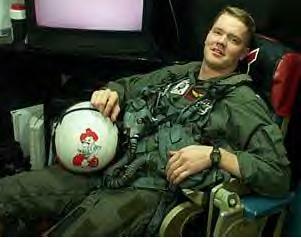 Stephen Nick Benson, 26, a weapons system officer, was the son of Brother Capt. Eric Benson, I-919, who was the commanding officer at Oceana Naval Air Station in Virginia Beach from 1996 to 1999. 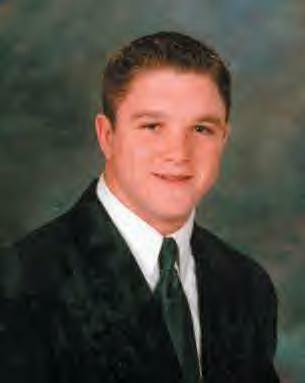 Nick Benson was initiated into Beta Xi Chapter of Kappa Alpha Order on September 9th, 1995. There, Nick served as Vice President, Pledge Educator, and many other positions during his time in the chapter. A man that you have to search far and wide to find someone that does not like him. Always a smile and a firm handshake waiting you and he would always take time to say hi. After graduating from the Oklahoma State University with his Bachelor of Science degree in Business in 1998, Nick began his illustrious career in the United State Navy. Lt. Benson flew his F-14 Tomcat in several missions over Afghanistan until the return of his carrier, the U.S.S. Enterprise, to Norfolk, VA on November 10th, 2001. On Friday, October 18th, 2002, Brother Benson was one of four members of Strike Fighter Squadron 41, based at Lemoore Naval Air Station, involved in the collision of two F/A-18F "Super Hornet" fighter jets. An interment ceremony was held at Arlington National Cemetery on Oct. 30.